Yesterday, Bloomberg Businessweek published a piece about a recent FBI investigation against Huawei for potentially attempting to steal trade secrets from an American company, this time with a serious twist: The tech that may have been stolen doesn't just apply to phones, it could also be used in weapons. The complicated story weaves its way from San Diego to Chicago and Las Vegas, recounting Akhan Semiconductor's attempts to license to Huawei its new Miraj Diamond Glass — a layered material alleged to be 6 times stronger and 10 times more scratch resistant than your current phone's Gorilla Glass, but with potential applications in powerful military lasers. I won't ruin all the James Bond-like quirks of the story, which makes for some really fantastic long-form reading, but the short version is that Akhan (the diamond glass guys) sent Huawei a sample of their snazzy new diamond-coated glass. It was returned late, damaged and with chunks missing, sparking curiosity and concern at the glass startup that Huawei may be attempting to reverse engineer its tech. The FBI was then contacted, and it began to look into the matter. 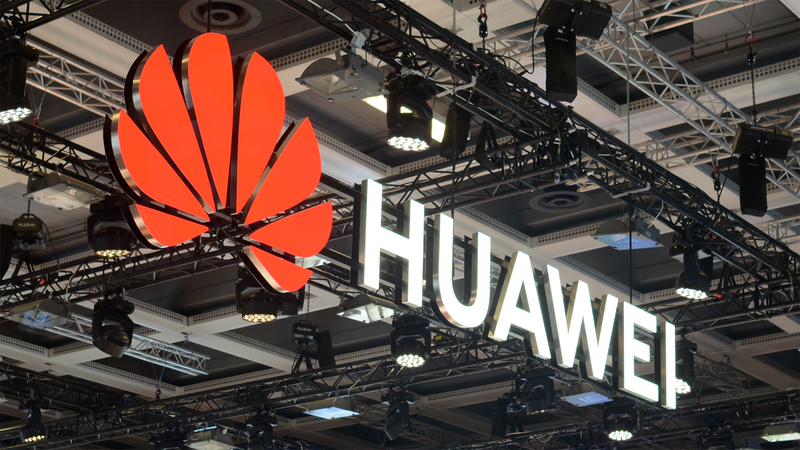 As part of the FBI's investigation, a representative from Huawei even admitted to criminal violations of the US' ITAR (International Traffic in Arms Regulations) rules by shipping the sample, which had potential military and arms applications, out of the country during testing — though when asked later the same representative was adamant that Huawei had looked into it and its actions were "OK."
Thus began plans for an elaborate sting operation at CES, less than one month ago, as undercover FBI agents and reporters listened to a burger shop meeting from remote hotel rooms and gelato stands, ultimately resulting in a raid against Huawei's San Diego facility. Dramatic reinterpretation of the FBI sting in San Diego. The diamond-glass supplier felt forced to divulge its involvement in the investigation at an earlier time than initially planned, as they had the poor luck of running into — and being forced to snub — a representative from another company that was interested in the product during the CES sting with Huawei in Vegas. Rather than face the potential loss of a customer, Akhan went public with the details. The end of the story is indeterminate, the FBI's investigation is still ongoing. But the little chunk we have of it so far is an excellent read, and I urge anyone interested in the ongoing Huawei drama, or even just a good story, to check it out.